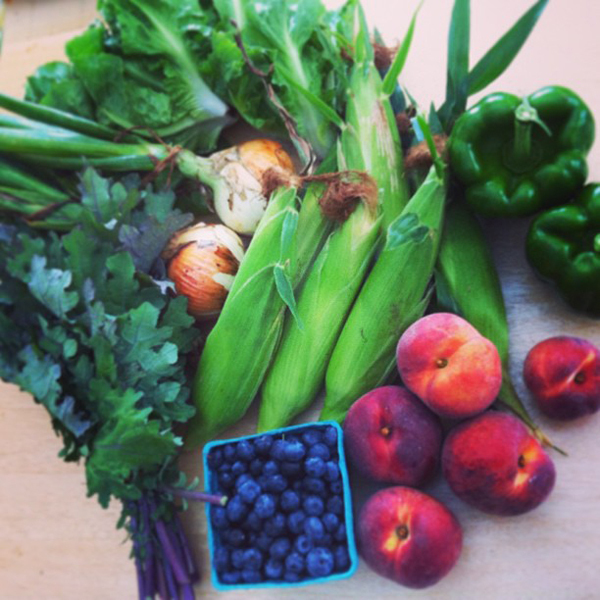 Each CSA share gets better than the last. Peaches and blueberries! 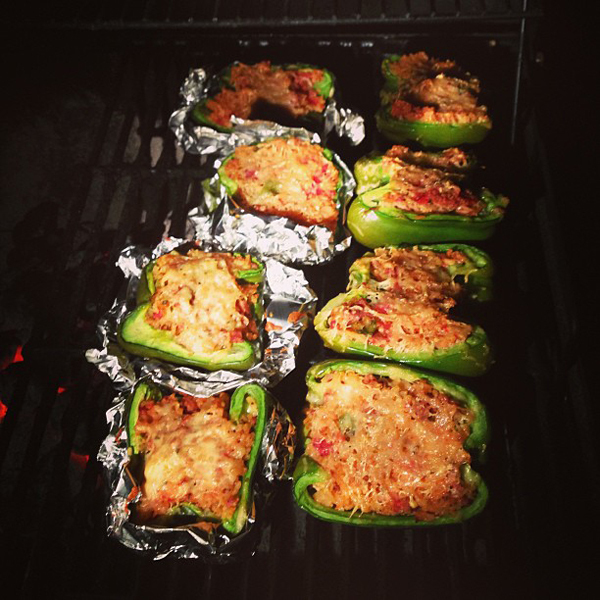 With a collection of five green peppers, I was geting hungry for stuffed peppers. But with the recent heat wave, I didn't feel like turning on our oven. I figured there must be a way to cook them on the grill. A little research on the oven showed that you can cook them using indirect heat, place the charcoal brickets on one side and the peppers on the other. 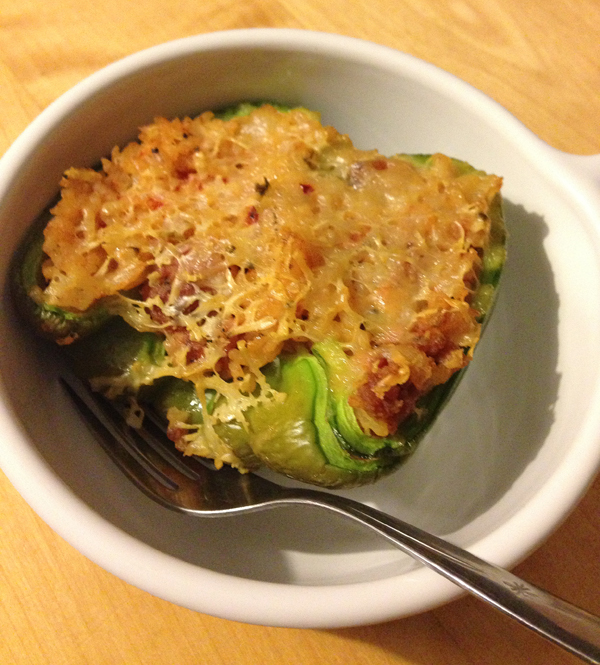 These are the best stuffed peppers I have ever made. Partly because of the grill and partly because of the stuffing combo I came up with. After looking at oodles of recipes online I came up with this mixture. Cook the rice in a pot or rice cooker. Brown the sausage in a pan with the onion and one of the green peppers. Mix in the rice, tomatoes, parmesean cheese, worcestershire sauce, and monterey steak seasoning. Cut the four peppers in half and stuff them with mixture. Top with monterey jack cheese and grill on a bbq grill with indirect heat for about 30 min or until peppers start to soften and brown.